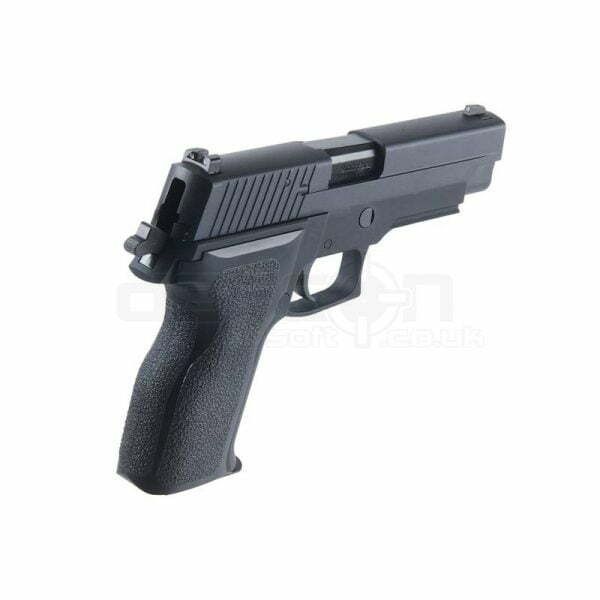 The WE F226 Tactical is a full metal construction version of the world famous Sig P226 Tactical as seen in use by the british military, the SAS and various other police and armed forces the world over. 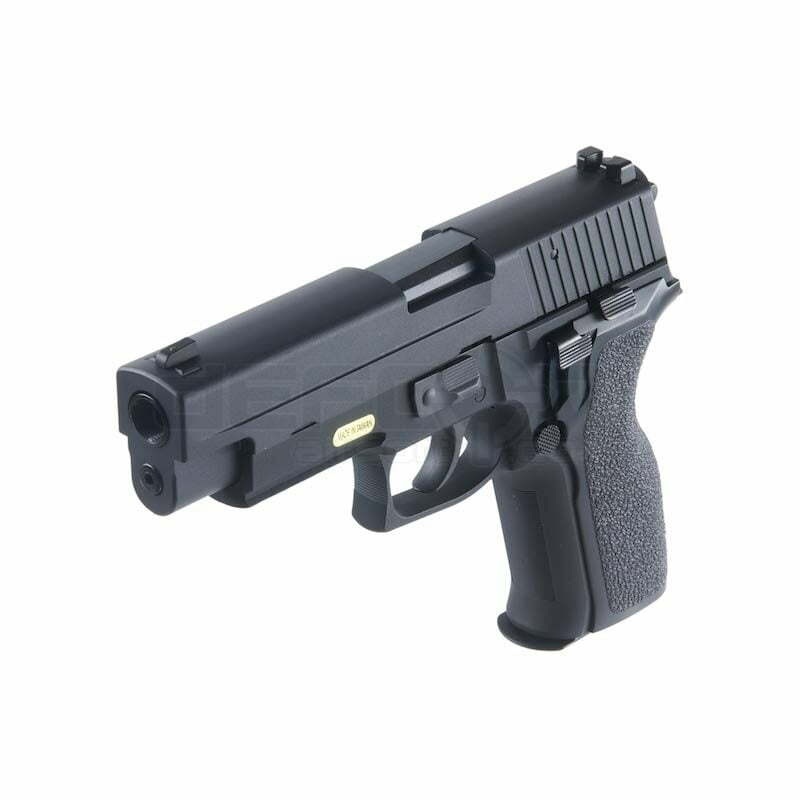 This double action gas blowback pistol strips like the real thing and has a full functional de-cocking lever. 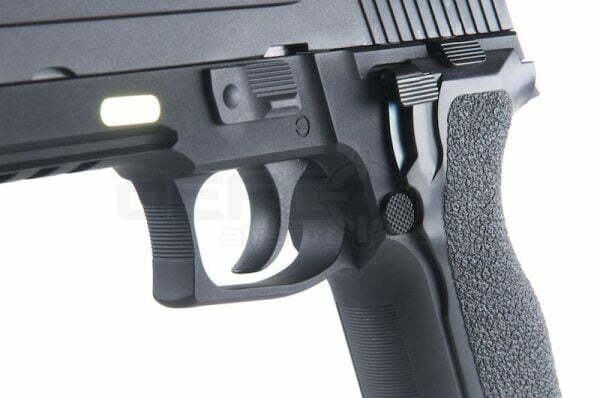 Pistol has front and rear sights for quick target acquisition. 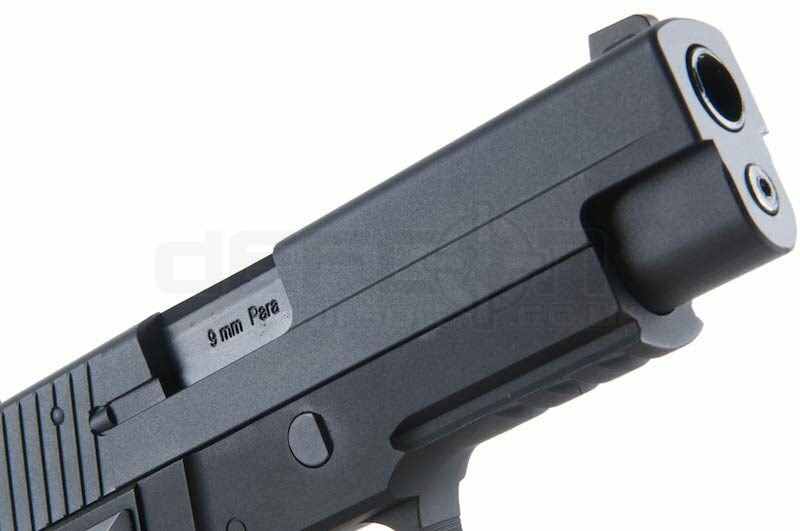 Lanyard mounting point on bottom of the grip. 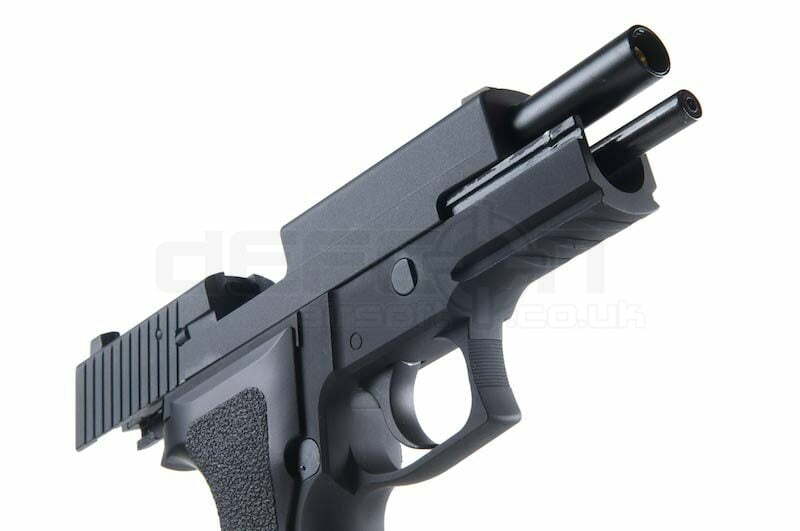 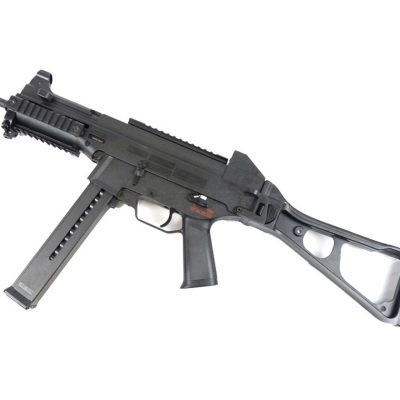 Great sound and impressive recoil, this full scale replica is ideal as a secondary and also for training use. Spare magazines also available.